In that heady summer of 1967, one of the songs that captured and embodied the zeitgeist was “I Had Too Much to Dream (Last Night),” a fuzzed-out psychedelic miniature masterpiece by the trendily-named Electric Prunes. While the original group managed only to squeeze out two albums – the debut LP titled after the hit single, and Underground (both released in 1967) – before surrendering to their producer’s vision, an approach in which their participation was minimal to nonexistent, they left behind a number of excellent tunes. Serious fans of the band often dismiss Mass in F Minor and the two albums that followed it as not being part of the band’s true canon. But those early tracks, including numbers like “Get Me to the World On Time” and “The Great Banana Hoax” displayed a vibe that was as at times as dark as The Doors, but yet seemingly also possessing of a more good-timing disposition. 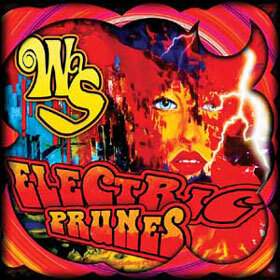 Bassist Mark Tulin and guitarist/vocalist James Lowe were the prime movers in that original lineup, and after a decades-long hiatus, the pair reactivated the Electric Prunes for the 21st century. 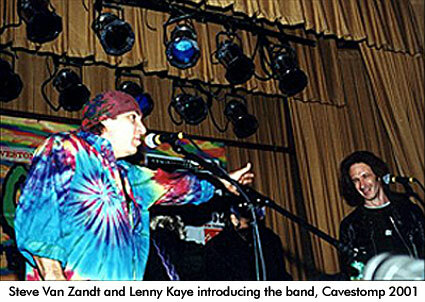 A pair of studio albums – California (2004) and Feedback (2006) – showed that the group had new material in the vein of their 60s work, and their live shows displayed their onstage fire to a new generation. Bill Kopp: When Lenny Kaye‘s original and influential 2LP Nuggets compilation first came out on Elektra in the early 70s, how aware were you of it and the fact that “I Had Too Much to Dream Last Night” was on it? James Lowe: I wasn’t aware [of it] at all. I didn’t know; I had no idea. In fact my son told me about it…I don’t know what year it was; years later. He said, “Do you know you’re on Nuggets?” And I said, “What’s that?” Here’s the thing: I didn’t tell anyone I had been in that band. I was doing commercials and films and stuff, and nobody knew me as the guy in The Electric Prunes. So nobody would bother to mention it to me. BK: The first time I recall seeing your name was on liner notes for Todd Rundgren‘s Runt album; you engineered it, right? JL: I engineered Nazz, Nazz Nazz, Nazz III, Runt, The Ballad of Todd Rundgren, Someting/Anything…we did a bunch of albums together. BK: So in the period during which the Electric Prunes essentially went inactive, and up until when you reactivated the group around 2000, what were you doing musically? JL: I had a commercial production company, so I was doing corporate image films and stuff like that. Other than underscoring those things, I wasn’t doing any music projects. BK: When you did reunite around the turn of the century, what was it about that particular time that made it right? JL: A guy named David Katznelson from Warner Brothers wanted to release an album of our stuff from the 60s. And we couldn’t figure out why he did; we didn’t think anyone would want to buy it. He seemed so knowledgeable and involved, that we just sort of surrendered ourselves to him. So we made a compilation called Lost Dreams. And that reinstilled my interest in music. I had gotten Mark Tulin on board when they called me to do it. And with both of us sitting there listening to these old tracks after all those years, we thought that we didn’t sound that bad! I gotta be honest: it wasn’t bad. BK: The liner notes the new album, WaS, are sort of cagey about whether this is the end: “Maybe the last we will ask you to support.” With Mark having passed, are you keeping your options open, or is this really the end? JL: Well, to be honest with you, the band – the guys we’ve been playing with for the last seven or eight years – these guys really like playing, and they’re interested in still performing. So…I”m not sure if we’ll do any more records; we’ve got some stuff in the can, enough to do some more records. But these guys wanna play. And I wanna play, too. I’ve been playing this stuff for the last year, year and half while we recorded it. But it’s also a lot of fun to go out and play it for people.